This post may contain affliate links. Please see my disclosure policy for more details. Thankfully November was slower than September and October. Not entirely by choice though, Jeff and I came down with awful colds at the end of the month and life kind of got put on hold for a while. 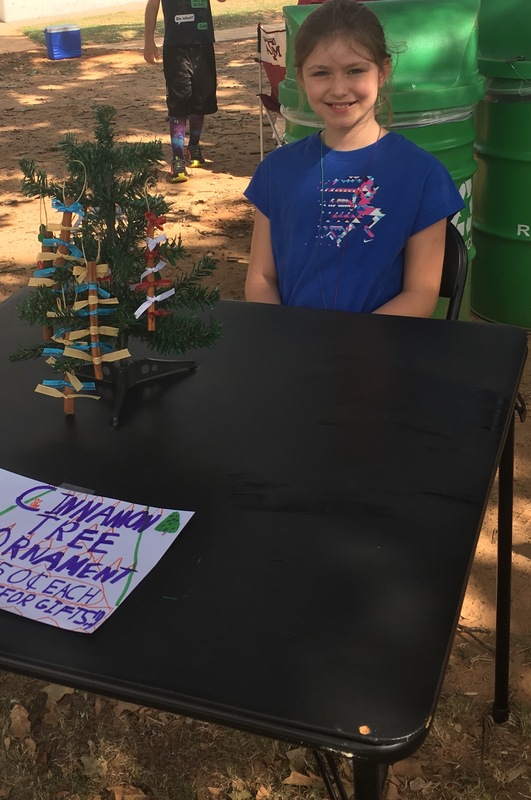 Madison had a good time making Christmas ornaments to sell at the local kids homeschool craft fair. 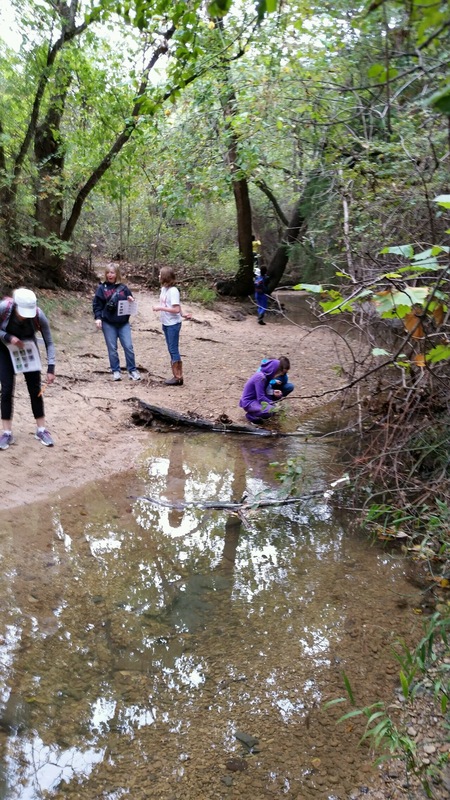 She also went on a field trip to the Coppell Nature Park with the Perot Junior Naturalist Program. She was able to find animal tracks including an armadillo. 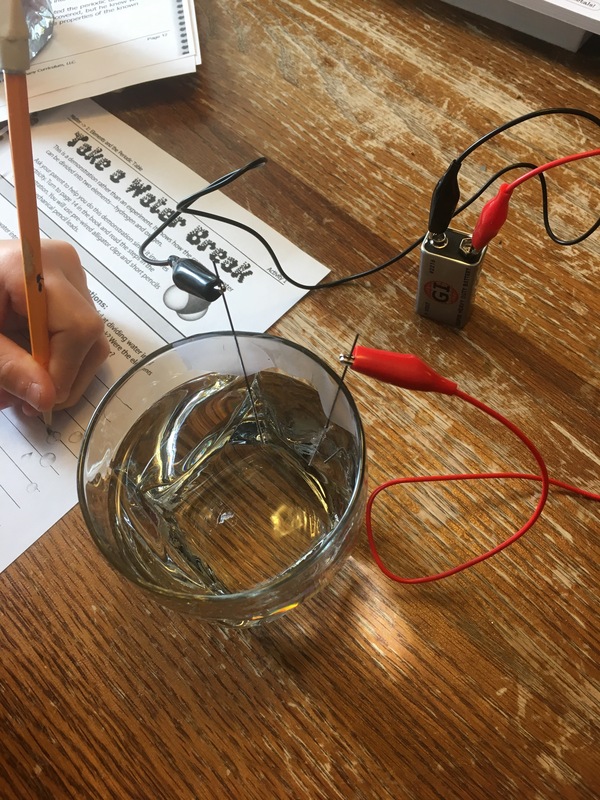 I had the feedback session for her testing with Madison’s psychologist and then I decided Let’s Get Crackin’. 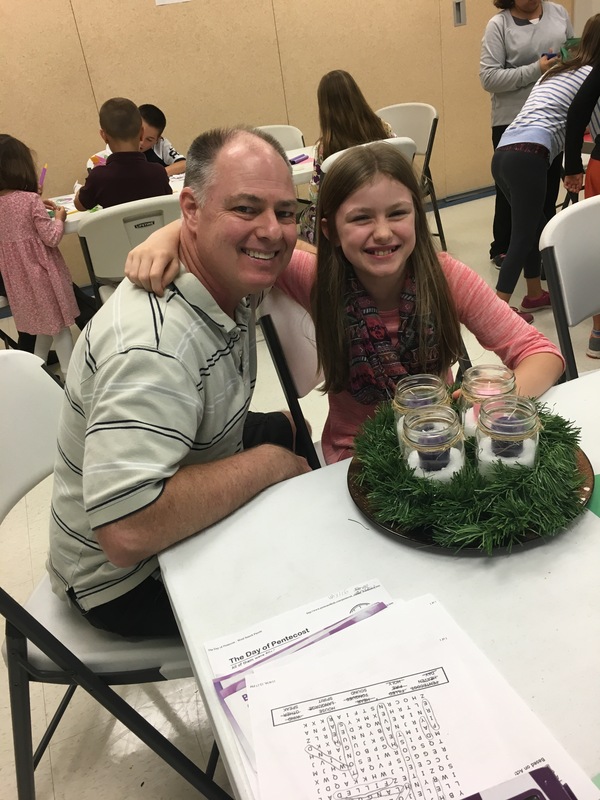 We made a family Advent Wreath during Madison’s religion class. It was a lot of fun and we are enjoying it each Sunday as we pray and light the candles. Jeff is reading Stories of the Child Jesus from Many Lands to Madison during Advent. Madison turned in her Operation Christmas boxes during one of her American Heritage Girls meetings. She spent a lot of time gathering items and putting a lot of thought and her own money into these. It will be neat to see where they end up going. Jeff and I also enjoyed teaching the Living in the US badge to her troop. 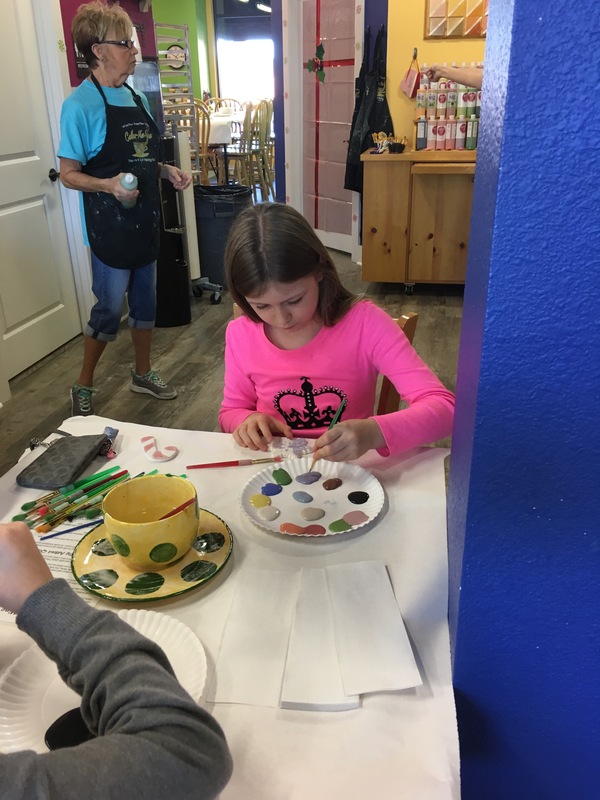 We enjoyed painting Christmas ornaments during a homeschool field trip to Color Me Mine. This is Madison’s ‘happy place’ and there will be several pictures of her painting there this upcoming year. 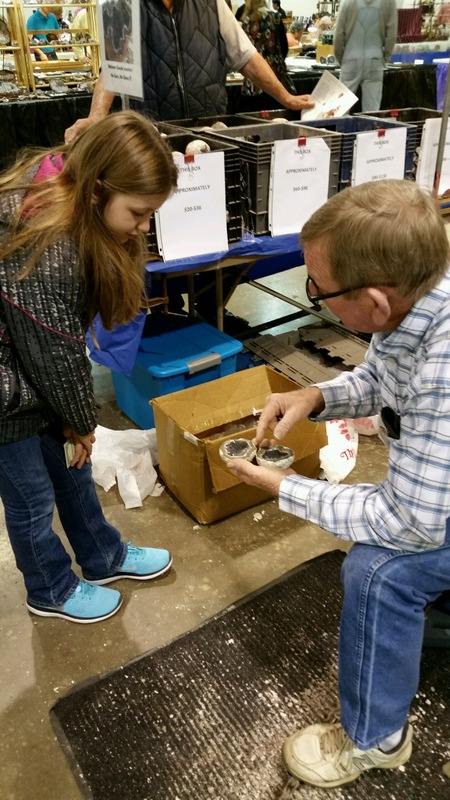 Madison and Jeff attended a local Mineral and Gem show. It was the first one Madison has ever been to and she loved it! She brought all the money she had saved up and it was a shopping treat for her! She loved browsing all of the wonderful items they had for sale. 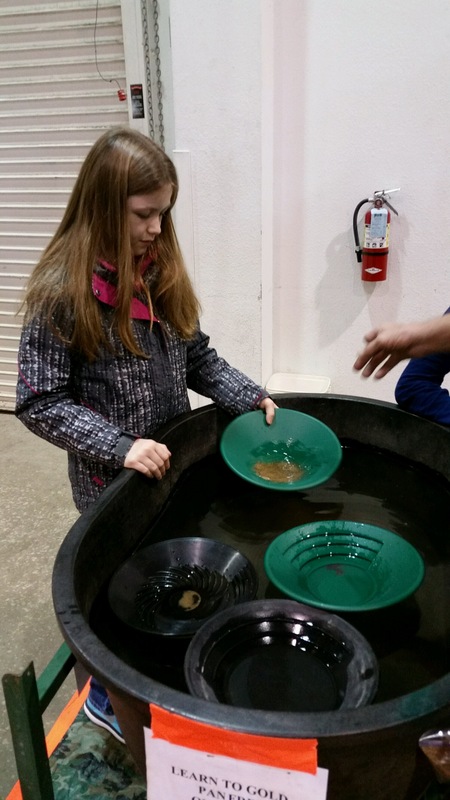 She panned for gold and bought a dish and a bag to pan her own at home. And bought a geode that they cracked open for her. 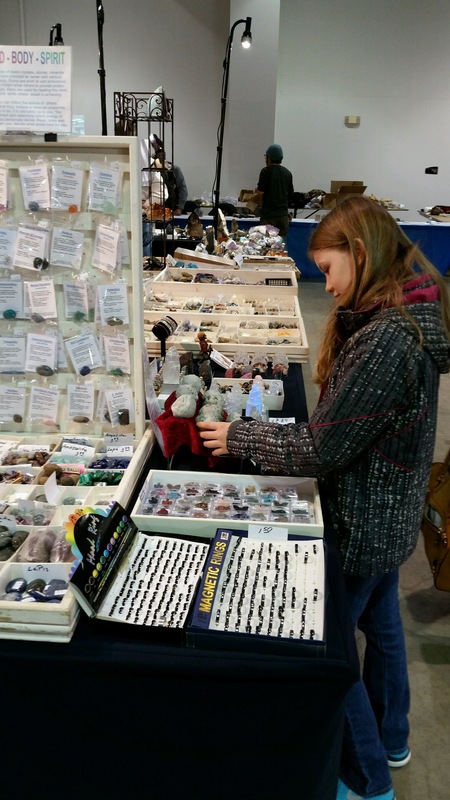 She cannot wait to go to another mineral and gem show again soon! Madison has been practicing for months for the piano for her Christmas recital in December. God bless her teacher, she taught Madison to play Heart and Soul with both hands without music. Her piano teacher is so amazing and we are very grateful for her!!! 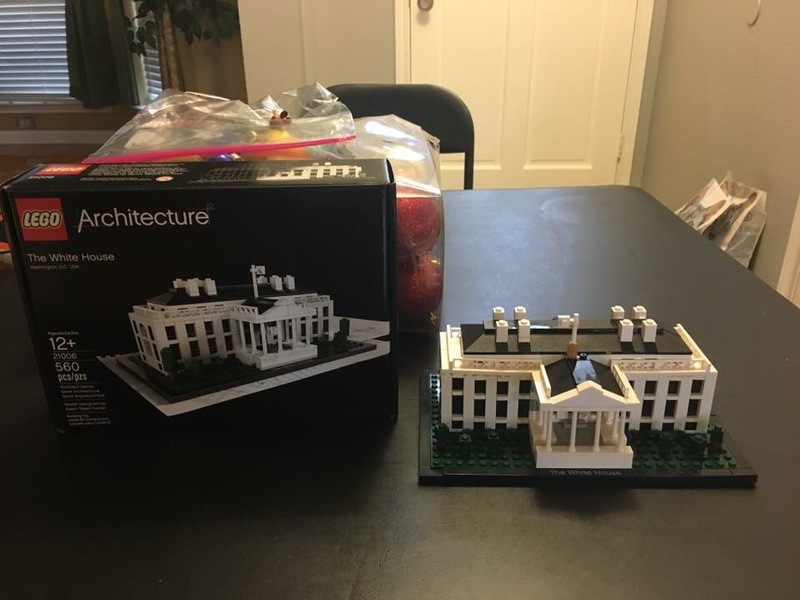 I ordered the Lego Architecture White House for Madison and she enjoyed building it. The bags aren’t numbered like they are on the sets for kids. Go figure! 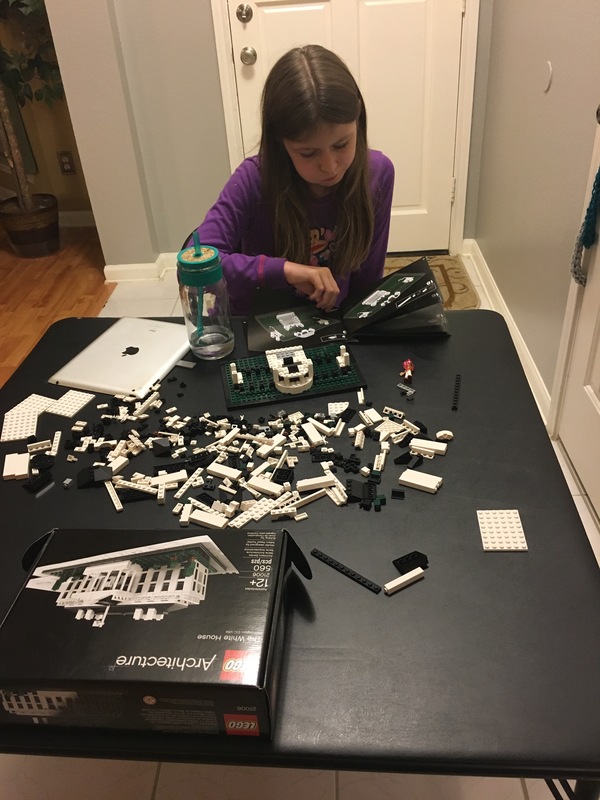 For Homeschooling, Madison continued to practice her speeches for her upcoming tournament, listening to the History of Us book 10 on Audible, reading her daily devotions, finished A Wrinkle in Time language arts unit from Moving Beyond on the Page as well as her Matter unit. As for Math, we are trying a new approach. Madison is now speeding through. She watches the lectures for each lesson and then does one problem. If she gets it right she moves on, if she doesn’t then she does another problem. She is going through about 3 or 4 lessons a day. 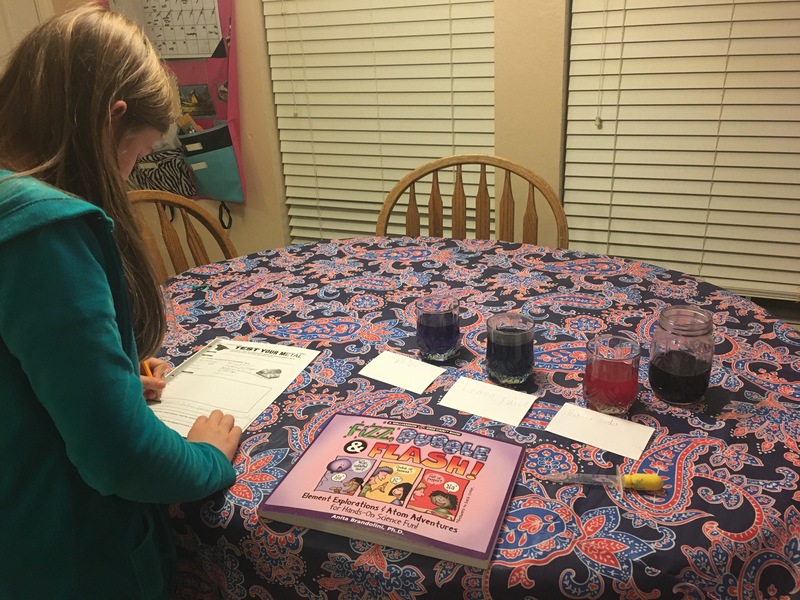 I purchased Thinkwell’s Algebra I while it was 45% off at Homeschool Buyers Co-Op and I am thinking she’ll probably be ready to start that shortly after the new year. She really enjoys algebra. Much more than the rest, so instead of skipping to it, we are speeding our way through it. So far, so good. I wouldn’t have the confidence to do this without the scores we received from her testing. She does not need repetition, so I’m not going to make her do it just for the sake of doing it. It will be much better when she gets to do the math she enjoys doing and thinks is fun. I’m looking forward to that. Madison also finished up her Fall 2016 book list and her favorite was the Percy Jackson and the Olympians series. We had a wonderful and relaxing Thanksgiving and are looking forward to Jeff’s birthday and the Christmas season. TRULY THEY ARE GIFTED—AND YOU!